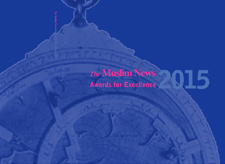 Tributes and accolades have been expressed by political leaders, community dignitaries and diverse sections of the media both in the UK and from around the world congratulating and praising The Muslim News on reaching its 25th anniversary this month as a unique campaigning and pioneering publication without compromising it editorial independence. “British newspapers are a vital part of our democracy and The Muslim News plays its part in holding institutions to account and reporting on issues of public interest,” Prime Minister, David Cameron, said in congratulating the pioneering publication and wishing every success in future. 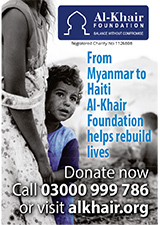 Deputy Prime Minister, Nick Clegg, praised Editor Ahmed J Versi and his devoted team, largely of volunteers, for the real achievement in continuing to produce the first and longest-running Muslim newspaper in the UK. “I am always impressed by the paper’s professionalism and inclusivity. The Muslim News is an important independent and objective source of news about British Muslims and has become vital reading for people in Government and politics as a voice of Muslim communities in the UK,” Liberal Democrat Leader said. Opposition Leader Ed Miliband said it was a “notable occasion” reaching the 25th anniversary with the newspaper remaining constant in communicating the need for news in an honest and thoughtful manner while the world has changed. 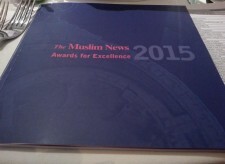 “The Muslim News has held true to this principle, providing its readers with insightful articles into current affairs and politics,” he said. “The Muslim News plays an important role in giving expression to Muslim communities both here in Wales and across the UK,” the First Minister of Wales, Carwyn Jones, who also chairs the Faith Communities Forum, said. Tributes were also paid from an array of prominent Muslim community leaders, diverse sections of the media and much further afield internationally from around the world. 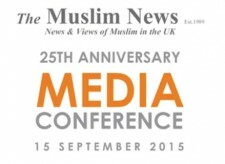 For full list of the messages and history about The Muslim News are available on request from info@muslimnews.co.uk or 07768241325. 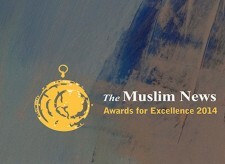 The Muslim News was established in February 1989. What is 15 + 10 ?